be part of the raffle - look out for an Egg near You ! Easter is Coming ! - Fancy a Handmade High Quality Giant Easter Egg ? 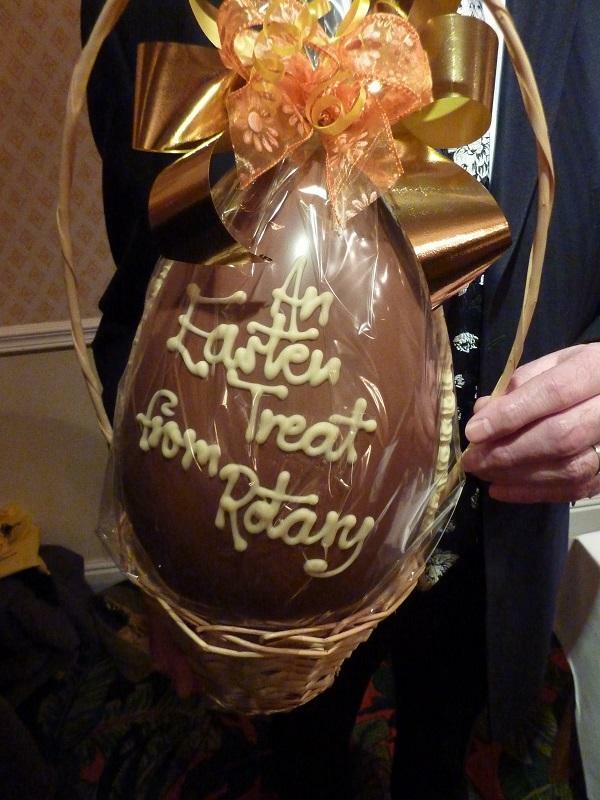 The Cambridge South Rotary Club has placed 25+ of these Gorgeous Chocolatier Masterpieces in public places around Cambridge City and nearbyy villages. Look out for them in a pub or hall near you. Buy a £1 or more options and cross your fingers that your square comes up when the raffle is drawn - a 1 in a 100 chance - pretty good odds ! Egg results due Easter 2019. Organiser - Rtn Trevor Sayer.